It’s National Cheeseburger Day! I love a good cheeseburger (and my older daughter has finally discovered them), but I don’t love all the fat. Admittedly, a lot of the fat comes from the cheese part of the burger, but most of it comes from the fatty hamburger. Chicken is a naturally leaner meat, so it’s a great choice for those times when you’re craving a burger, but you don’t want to load up on calories and fat. Turkey burgers are also excellent choices. I LOVE turkey burgers! But, since this is still National Chicken Month, I thought I would post my favorite easy chicken burger recipe. 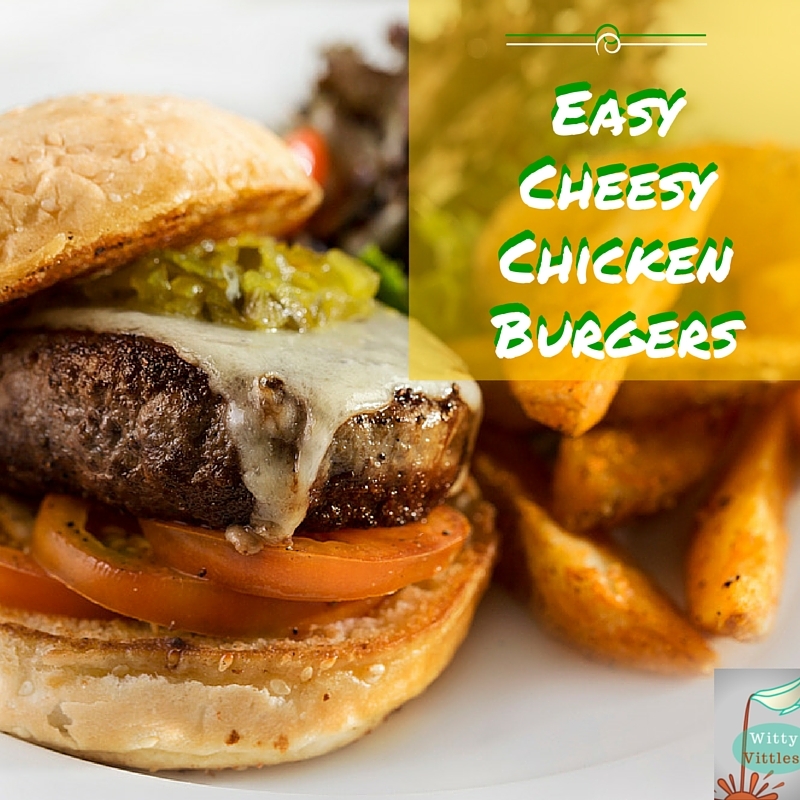 When you’re in the mood for a cheeseburger but don’t want a lot of fat, try out this easy chicken burger recipe instead. Spray a large skillet with Pam cooking spray. In a large mixing bowl, combine the ground chicken, breadcrumbs, cheese, yogurt, and seasonings. Take the meat mixture out of the fridge and form into 6 patties. Cook each patty for 8-10 minutes per side. Serve immediately, with an extra cheese slice, sliced tomato, and guacamole (if desired). This is a delicious, somewhat healthy burger substitute that you can enjoy whenever you want. For our family, burgers are a natural Saturday lunch choice, but this recipe would be just as good for a fun family dinner…or perhaps a healthier sleepover snack alternative. This same process (and even most of the same ingredients) would be great for turkey cheeseburgers too, so you don’t have to use chicken. In fact, this basic recipe is so versatile, you could probably use meatless alternatives to get this same effect. If you try this with ground soy or something else, I’d love to hear about it, so please share in the comments! This seems like a nice alternative to beef! Thanks for sharing at Tasty Tuesdays. Yummed. I just made a meatloaf with a yogurt and breadcrumb mixture for binding, isn’t it a great way to add moisture and flavor to lean protein like chicken?